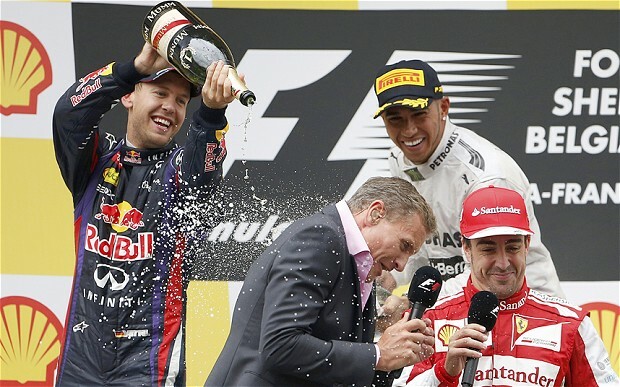 With his dominant drive at Spa, Sebastian Vettel extends his championship lead. Can any of his rivals put together some strong results and prevent him from winning his fourth World Drivers Championship in a row? Welcome then to another legendary circuit, The Autodromo Nazionale Monza! 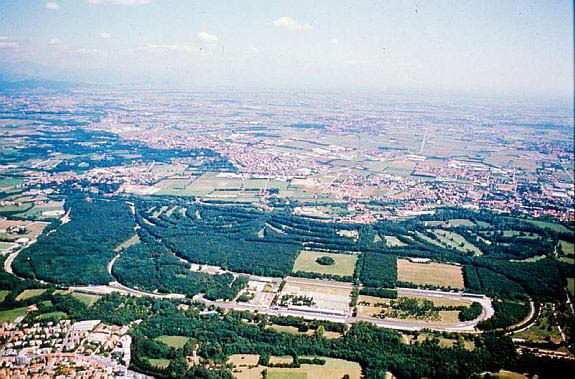 The Autodromo Nazionale Monza, home of the Italian Grand Prix since 1922. The old banked circuit still visible! There are two words which are synonymous with the Italian`s love of cars and motorsport, `spirit` and `passion`, or as they say in Italy, `Lo spirito e la passione`! It`s an emotion, a feeling, something that you just cant put your finger on. Whatever it is the Italians have it by the bucket load and it surrounds their cars, race circuits and fans! This is what makes the Italian Grand Prix a truly special occasion. Monza is also a very special place as along with Silverstone formed part of the inaugural Formula 1 World Championship in 1950. The dominant team then was Alfa Romeo and the first ever Formula 1 World Champion was Giuseppe Farina winning it in his supercharged Alfa Romeo 158 at Monza. The first and only time in F1 history a driver has won the F1 World Championship at his home race!. Of course the track has changed since then, the old banked oval circuit no longer is raced on and instead we have a super fast low downforce modern circuit some 5.8 km in length. The Grand Prix will be 53 laps and last years winner Lewis Hamilton completed the race in 1 hour and 19 minutes. So how do the teams and drivers stack up going into this years race? Lewis will be very concerned that his Mercedes car looked slow on the equally fast low downforce Spa track. He was dogged by set up problems during free practice, however showed that no one could live with him in an astonishing qualifying session that saw him take a breathtaking last gasp pole! The Mercedes team still need to work on their car`s race pace as it was once again found wanting in Spa. There is a saying in F1, "If you stand still you go backwards". The Red Bull team most certainly did not stand still during the summer break! Sebastian Vettel`s powerfull first lap overtake of Lewis down the Kemmel straight was a big warning to their rivals that they had made some big upgrades to the car! 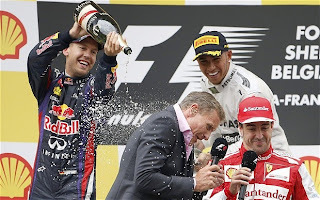 I expect that Sebastian and Mark will be the drivers to beat yet again here at Monza. 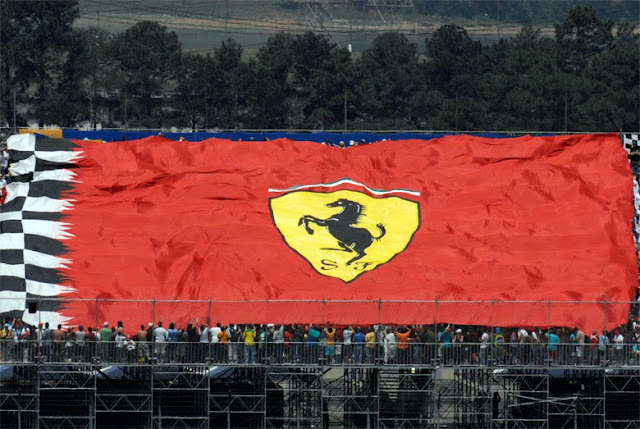 The home team, Scuderia Ferrari will take Fernando Alonso`s second place in Belgium as an encouraging sign that they can compete for the win on their own doorstep and send their fans, the Tifosi, into hysteria! The Maranello team have won the most Grand Prix here, an amazing 19 times! Every true Formula 1 fan would welcome and cheer a Ferrari win here! Second on the list of all time Italian GP winners lie McLaren. They would so love to get a podium here but the team have all but admitted they are concentrating on development of the 2014 season car from now on. A fact that will disappoint their many fans who will have taken heart from Jenson`s strong showing at Spa. Whoever is going to win this race in Monza they are going to need plenty of "spirito e passione" When the lights go out on sunday afternoon, turn the sound up and absorb some Italian spirit and passion for yourselves! Forza Formula 1! 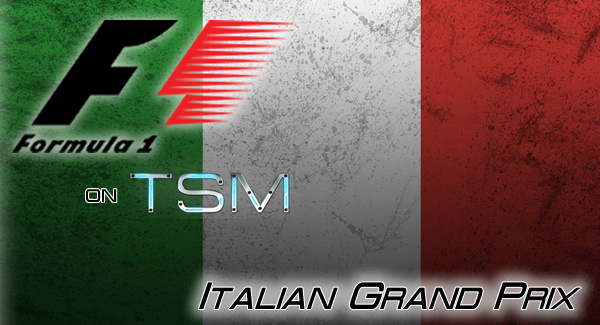 PREVIEW FOR THE ITALIAN GRAND PRIX 2013.